Growing your Instagram has always been really tough. With the Instagram Algorithm always changing, techniques that used to work to beat Instagram are now outdated and ineffective. Staying up-to-date and knowing what works and what doesn’t is a full-time job. 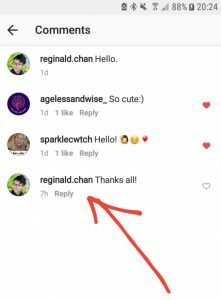 Instagram pros have spent a lot of time finding and testing the best Instagram hack for staying at the top of the social media pack. Until now, these secret hacks have stayed hidden from the public.  In this article, we are going to disclose all the super secret techniques to beat the Instagram algorithm that most pros don’t want you to know about. It doesn’t matter if you’re a blogger, running a business, or starting a side project, you need followers and engagement. Most articles online will only tell you how to do the easy stuff. Using great hashtags, geotags, and writing good captions are a great start, but why aren’t you seeing any difference in your account’s growth? Believe it or not, most of these techniques are old and outdated. Sure, they might help a little, but in order to see real improvement, you need to be #growth hacking. Essentially, growth hacking is utilizing the techniques that will help you outsmart and stay ahead of changes to the Instagram algorithm. If you want to know how to make the most out of your efforts to beat Instagram, keep reading! These tactics can be highly effective and can help your account reach amazing heights, but they also have some risks. No free lunch as they say! Make sure you understand these risks before starting. With any of these tactics, your ability to measure what works and what doesn’t will be limited. Using multiple tactics at once means it will be difficult to determine exactly what caused a spike in your account. If you stop using any of these tactics, you may see a reduction in followers or engagement, as you will not be pushing your account as hard. Ready to dive in and learn the 14 Expert Tips to Beat the Instagram Algorithm? Let’s get started! The Three-Tier Hashtag strategy helps you select the right hashtags to get your content discovered more easily. By selecting hashtags that are reachable with your current audience, you increase your chances of getting into the “Top Post” section for each hashtag you use (Which increases your exposure). The first third of your post’s hashtags should be “Top Tier” hashtags, ones that have a post volume of more than 1 million. These are the most difficult to rank for when it comes to making it into the Top Posts, as you would need thousands of likes to do so. The second third should be hashtags that are mid-popular, with a post volume of around 100,000 – 1 Million. The final third of your post’s hashtags should have a post volume of 100,000 or below. Remember, you need to combine this strategy with the other Instagram algorithm hacks listed below (such as likebumps or engagement pods) to achieve the maximum results. In addition, you will also need to analyze the “like range” of the hashtags you are looking to use. What are like ranges? This article tells you everything you need to know about finding the right hashtags for your account! This article details everything you need to know about Instagram Engagement Pods. The first thing you need to do is join a pod. You can find pods by searching for Instagram groups and forums online. To join one, simply submit your Instagram account to your pod of choice. 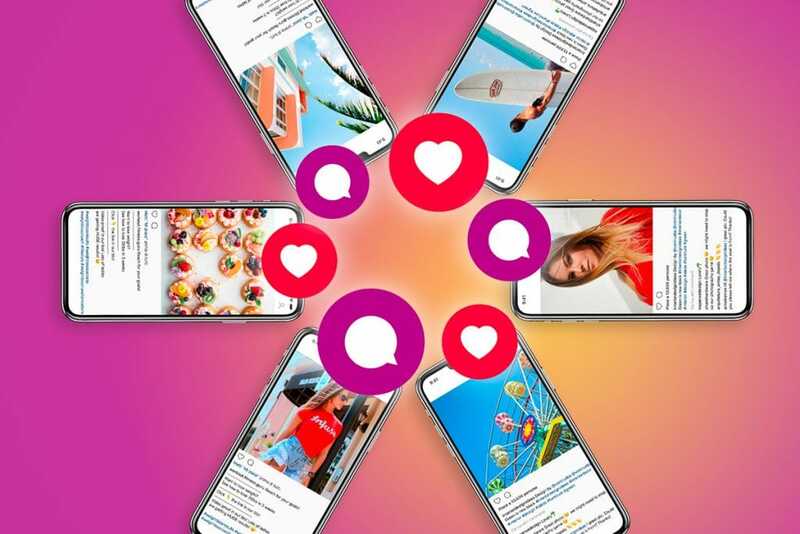 Once you enter, you will need to like and comment on posts from other users before you can receive likes or comments on your own posts. Some pods require an entry payment, and some have strict rules. These groups usually congregate around Whatsapp/Telegram/LINE chat groups and you will get messaged when it’s time for you to engage with others’ posts. After you do so, send a message to your pod after 10-15 minutes to let them know it’s their turn to engage with your post. These groups utilize a “like for like” and “comment for comment” strategy, meaning you need to give in order to receive. This requires an enormous amount of upkeep, and you need to be online and monitoring the chat groups to give likes to other users in the pod on time. You also need to be careful with joining small pods, as they are often easily detected by Instagram. As a result, your engagement could be penalized for these types of pod activities. Proceed with caution. Also remember, it’s good practice to switch pods regularly and to not stick with the same network for too long. This is the process of following specific users in your target demographic and waiting for them to follow you back. 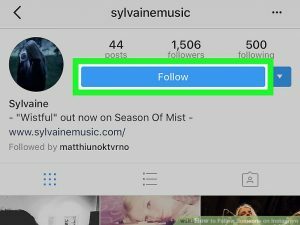 Despite what many people say about the ineffectiveness of follow/unfollow, we’ve found this tactic incredibly useful since changes to the Instagram algorithm took place. First, find a list of followers from your competitors’ accounts that you wish to target, and manually follow each one of them. Keep track of which users follow you back, and unfollow them after about 2 weeks. If any users do not follow you back after 2 days, immediately unfollow them. There are many automated tools and bots that can help you do this, however, only following and unfollowing other users may not be enough. Your goal is to get active users only, meaning people who regularly like or comment on posts. In addition, after a certain number of followers (typically around 80K followers), this method does not work as well. Furthermore, from a visual standpoint, it may not look great if you are following 5,000-6,000 people when your following is small. However, this method can be very effective if you are still in the early stages of growing your account. This tactic involves viewing the stories of your followers and your target market. As we all know, Instagram allows users to view who has seen their stories. Considering most people will be curious to know who is watching their content, there is a good chance they will click on your profile, which gives you views, engagement and follows that you may not have had previously. Use this Instagram algorithm hack to reach out to your target market and get their attention. To do this, go through your follower list and view all of their stories. You can also view stories of users in your target market by going through the followers of competitor or adjacent brands. None yet. Keep checking our blog periodically for any updates on this relatively new feature. 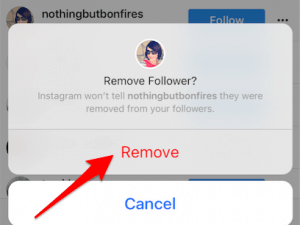 One of the most effective Instagram algorithm hacks for increasing your engagement and the attractiveness of your account is to remove followers who do not actively engage with your account. All Instagram really cares about is engagement, so if yours is high, you’ll get rewarded. The only way to increase your engagement is by limiting the number of people who follow you to active engagers only. This method finds which followers are deadweight for your account and removes them so they cannot hurt your engagement rate. Look at which users have liked or commented on your last 20 posts (or in the last 3 months), whichever is longer, and copy them into a list. These are called your Engagers. Next, download your list of followers and compare the two lists. If you have followers who are not in your Engagers list, remove them as a follower or block them. 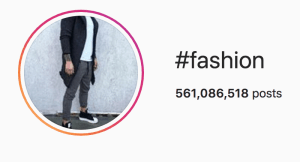 One major caveat to this Instagram algorithm hack is that you need to accept lowering your follower count in order to increase your page’s overall engagement. If you have purchased followers in the past, this decision may be even tougher to make. But rest assured, you are ultimately doing your Instagram page a huge favor. It may take a long time to identify which of your followers are actively engaging with your account. It takes even longer to remove or block those followers, which most people do slowly over time rather than in one sitting. Also important to note is that this task is even harder for large accounts, but it’s worth it in the long run. Like bumping is the process of getting large amounts of real likes to launch your post into the Top Post section for the hashtags you use. These must be real likes, as fake ones are not as effective. Find a service that can provide like bumps from a large network of users. Try their service on one to two posts before committing to a month-long subscription. Be warned, many services provide fake likes, which could be negative for your account. You must test a service and go through all the users that are engaging with your account to make sure the profiles are not fake. The service you choose also needs to have a massive network of users. Small networks tend to not have a sustainable impact on your engagement standing. We all know and have seen IGTV since its glitzy launch party in June of 2018. This is Instagram’s show at the bow of Youtube’s influencer ecosystem. This is very similar to the days when Instagram launched stories. It didn’t have much use at the beginning, but over time beat out Snapchat. When IG first launched stories, it was a goldmine for free reach to customers. This is the perfect timing to get into the medium-long video format game. You don’t get many chances to be innovative in social media anymore, and IGTV is your chance to do something new. IGTV is a new feature and still very young. 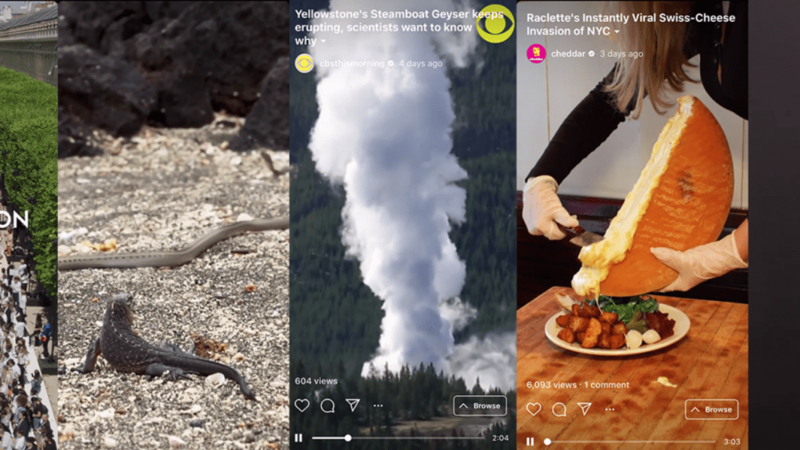 Feed videos are still getting 6.8x more views than IGTV, but this is actually a good thing! This means that the new feature opens up a lot of opportunities for new talent to emerge. We highly recommend you get in the IGTV game early, before the Youtubers start taking over. Once that happens, the window of opportunity will most likely close. For help on how to create your own IGTV channel, along with everything you need to know about the new feature, read our article here. Once you have a channel created, start posting videos! They don’t need to have high production value at the beginning, the goal is to experiment with what works, and what doesn’t. IGTV will lower the bar of production level from SLRs to smartphones, and push smartphone video content more into the mainstream. Because IGTV is a new feature, you may not get much traction initially. Just remember, utilizing a platform that inevitably will become huge is an investment in your future engagement. A great example is Michelle Phan, one of the first makeup bloggers. One of the main reasons she became famous was because she was ahead of the game. She started doing it before anyone else. Innovation means exposure and credibility. IG Stories is one of the most used features in Instagram right now. It’s easy, quick, and doesn’t take much work to produce discoverable content. 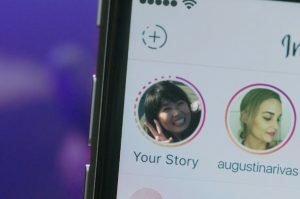 Stories are situated at the top of everyone’s Instagram feed, meaning it’s the first thing users see when they log in. This means that the content you post in your Stories has a much higher chance of getting viewed. Plus, considering how easy it is to create a story, this tactic is a no-brainer. Not too many, but discoverability is starting to weaken. 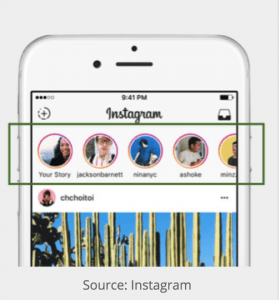 With the addition of ads and the increased use of this feature amongst Instagram users, we predict IG will start making users pay for reach very soon. 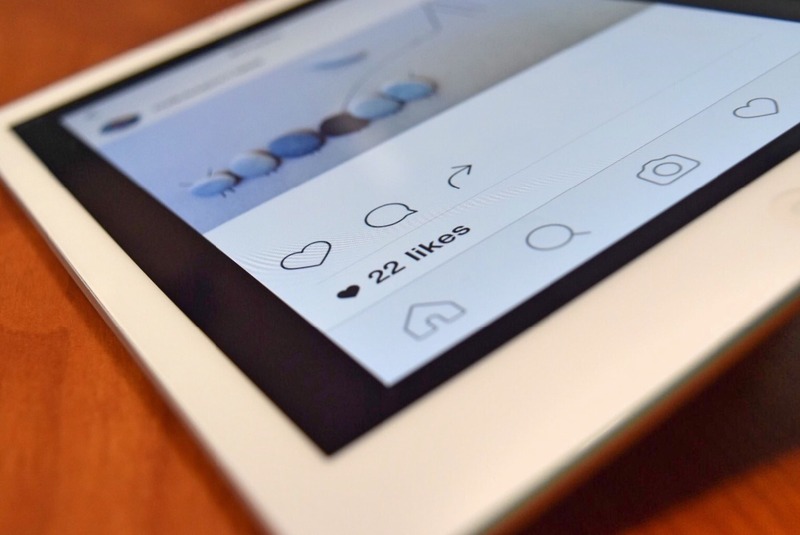 This Instagram algorithm hack is great for boosting engagement. Similar to the follow/unfollow method, this is strictly liking/commenting or viewing the stories of your followers. 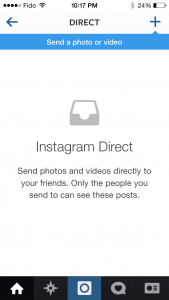 If they engage with you back, Instagram sees this as a positive attribute to the relationship you have with that user. By doing this, you are maintaining a relationship with your followers individually, creating a higher chance of each one seeing your content on their feed. 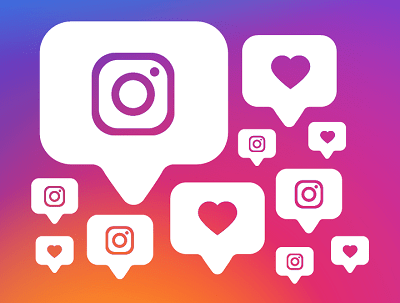 This maintenance is more critical at the beginning as you are growing your audience, and every engaged follower you get enhances your standing with Instagram. 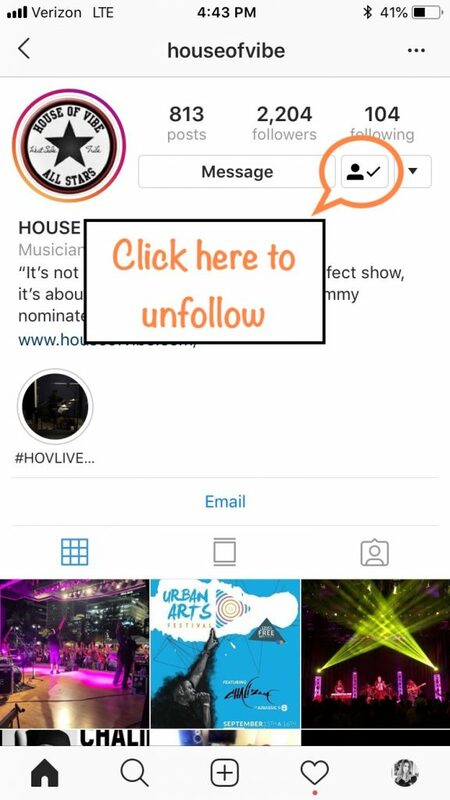 Look through your follower list and like their posts, comment, view their stories, save their posts, and even DM (Direct Message) them. Unfortunately, this tactic can be very time consuming and is not scalable when you have a higher follower base. Many services can help you with managing these relationships at a higher follower number. A Power Like is a like from an IG account that has a huge follower base (100,000 or above). These likes are incredibly valuable and give your post a high chance of entering into the Top Post, Explore, and Hashtag pages. To get a Power Like, go to forums and engagement pods and build relationships with accounts with a larger follower base to work out a deal for them to work with you. The downside to this Instagram algorithm hack is that you usually have to pay these accounts to give you a like. Fortunately, the boost their likes can give you could be worth it for your account. 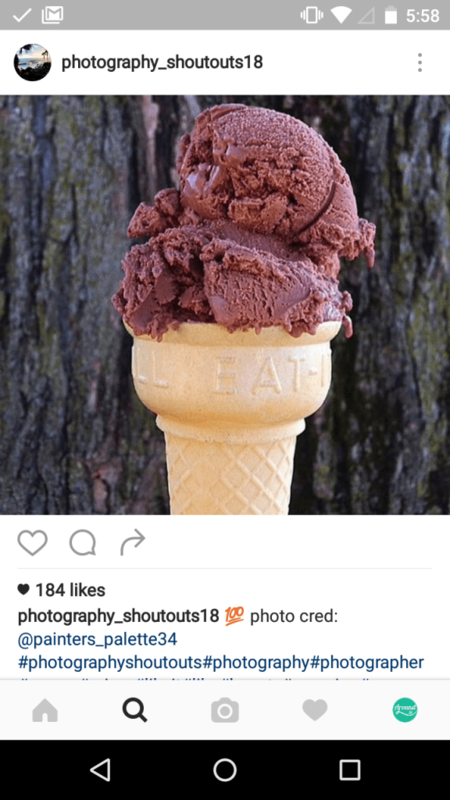 Ads on Instagram are still the golden ticket to getting exposure, but you need to have the budget. 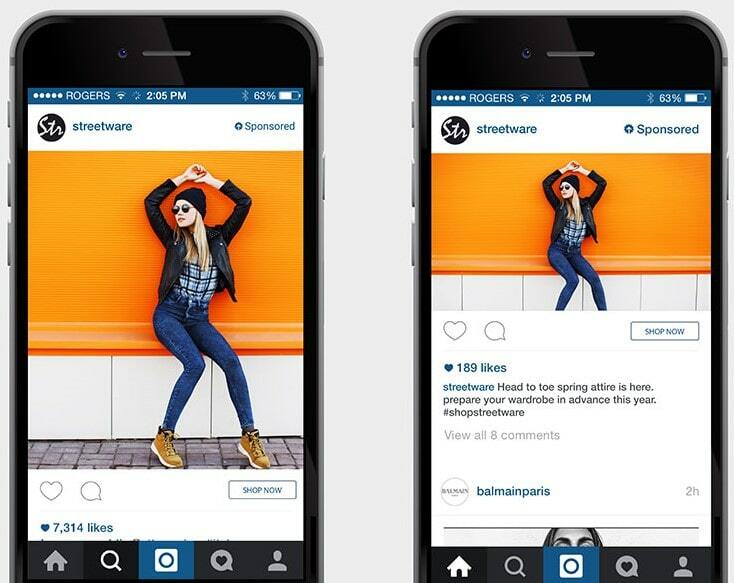 IG ads are Sponsored Feed ads and Story ads that show up when a user is browsing Instagram. It’s a great way to reach out, but it can cost a pretty penny. You can create an IG ad yourself by setting a reasonable budget at the beginning to showcase great content and test your results quickly. Another option is to hire an IG ads expert on Upwork. Make sure you ask the freelancer for transparent reporting and a good track record before hiring (ideally in your target niche). This method costs money but remains the ultimate surefire way to boost engagement. Buying shoutouts is still a great way to collaborate with influencers to market to their followers. Basically, you pay them a fee and they tag your business with a picture of your choice. More complex sponsorships include shipping them your product and asking them to review with photos. Many people go via the route of finding an influencer first. We recommend reviewing your followers and looking at who they are following instead. Some influencers have a bad habit of buying followers, buying likes or mismanaging their follower engagement, so make sure you do your research first. Remember to audit and check the engagers (users that like and comment) from the influencer to make sure they within your target market. Fail to do this and you may not see any results. If your product does not resonate with an influencer’s follower base, you can’t expect to see results. Make sure your goals align with theirs. Ready to become an Instagram pro? Now that you know the Best Expert Tips to Beat Instagram’s Algorithm that all the pros didn’t want you to know about, you’re on your way to becoming a Master of Instagram! Want to grow your Instagram but need some help executing these tips? Sign up for our free trial and we’ll help you grow your Instagram using all the expert tips above! Try our trial today.